This book is a detailed examination of whether domestic security measures are striking an appropriate balance between homeland security and civil liberties in the post-9/11 era. Professor Paul Wilkinson and the other contributors assess the nature of UK responses to terrorism by key public and private-sector bodies, highlighting how these organizations can prevent, pre-empt, counter and manage terrorist attacks by using a matrix of factors such as types of terrorist networks, tactics and targets. The volume also compares and contrasts the UK's response with cognate states elsewhere in the EU and with the USA. While improved intelligence has helped prevent a major Al Qaeda attack, the authors conclude that there is still a ‘major question mark’ over whether the country is adequately resourced to deal with an emergency situation, particularly in major cities other than London. The book also confirms that while the UK faces a ‘real and serious’ threat of terrorist attack by Al Qaeda, it is better prepared for an attack than other EU member states. 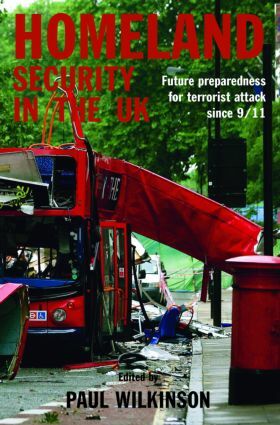 Homeland Security in the UK will be essential reading for all students of terrorism studies, security studies and politics, as well as by professional practitioners and well-informed general readers.